The Nemoli sofa sets the scene for a modern space full of casual flair. 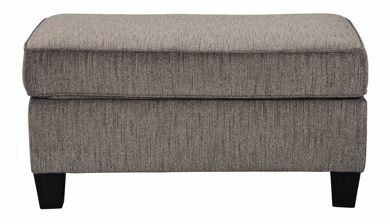 Its textured chenille with solid microfiber upholstery provides a luxuriously soft feel that’s inviting. 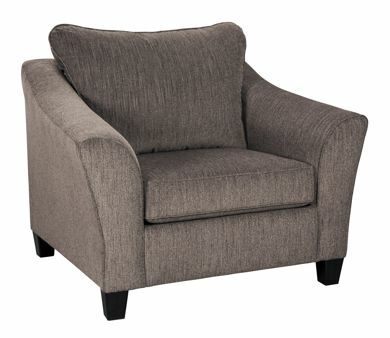 Gently flared arms and plush seat cushions welcome comfort and relaxation. 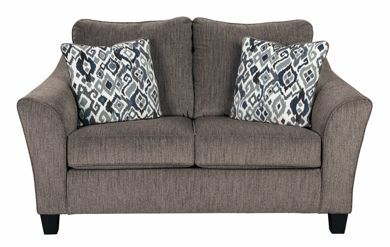 The on-trend slate-colored upholstery offers a perfect background for the four decorative pillows to pop with beauty.